(NaturalNews) Beloved actor Patrick Swayze died yesterday evening after a 20-month battle with pancreatic cancer. Having put his faith in conventional chemotherapy, he largely dismissed ideas that nutrition, superfoods or "alternative medicine" might save him, instead betting his life on the chemotherapy approach which seeks to poison the body into a state of remission instead of nourishing it into a state of health. These are not condemnations of this remarkable man; they are simply descriptive explanations of the path he chose and the results he experienced. Patrick Swayze was a talented, dedicated actor and dancer, and his work brought joy to the lives of millions. He will be deeply missed, and in his death, he joins many other celebrities who have been recently killed by pharmaceuticals or chemotherapy. Peter Jennings died following chemotherapy for lung cancer. Heath Ledger died following an accidental overdose of prescription medications (https://www.naturalnews.com/022602.html). Michael Jackson was killed by a doctor-administered injection of lethal painkillers. Famed newscaster Tim Russert most likely died from the fatal side effects of cholesterol medications (https://www.naturalnews.com/023434_Tim_Russer...). 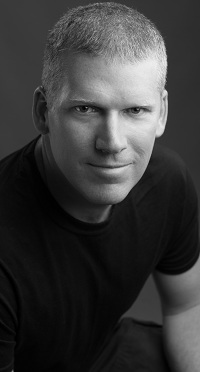 Former White House Press Secretary Tony Snow died after receiving chemotherapy for colon cancer (https://www.naturalnews.com/023626_cancer_che...), and Bernie Mac was most likely killed by pharmaceutical side effects (https://www.naturalnews.com/023817_Bernie_Mac...). The list of celebrities killed by western medicine is seemingly endless. And now, sadly, Patrick Swayze joins that ever-growing list of famous, endearing people who paid the ultimate price for their misplaced faith in slash-and-burn medicine and "conventional" chemotherapy treatments. Of course, the cancer industry takes no responsibility for his death. Drug companies and cancer docs never accept responsibility for the way their poisonous treatments harm (and often kill) many fine people. Had Patrick Swayze's pancreatic cancer gone away, doctors would have hailed chemotherapy as the genius treatment that saved Swayze's life. But chemotherapy has never healed anyone of cancer. Not once in the history of medicine. And when people die after being poisoned by chemotherapy, the oncologists and conventional medical doctors just shrug and say ridiculous things like, "The cancer was too far along" or "He didn't fight it hard enough." No one fought cancer more diligently and optimistically than Patrick Swayze. Even after being diagnosed with an admittedly scary disease -- pancreatic cancer -- he remained upbeat and enthusiastic about beating the condition. He put more faith in conventional medicine and chemotherapy than perhaps anyone, and yet that medicine failed him just the same. No one can fault Swayze himself for a lack of optimism. "I want to last until they find a cure, which means I'd better get a fire under it," Swayze said in a highly-publicized interview with ABC's Barbara Walters. No one apparently told Swayze the cancer industry isn't looking for a cure. They're looking for more business from more patients, and a genuine "cure" for cancer is flatly incompatible with the industry's business interests. Could he have been saved? Could Patrick Swayze have saved his own life with natural medicine? Absolutely. Without question. Even late-stage pancreatic cancer can be reversed (yes, reversed) with full-on naturopathic treatments involving Chinese herbal medicine, deep body detoxification that includes sweat saunas and colon cleansing, radical changes in diet from "dead" foods to "live" foods, a healthy dose of vitamin D and the daily consumption of raw anti-cancer living juices made from fresh, organic produce like cabbage, broccoli and garlic. Many people, of course, aren't willing to engage in these lifestyle changes in order to save their own lives, but for those who are, the results are astounding. I've personally met numerous people who told me their personal stories of reversing cancer (even late-stage liver cancer) by turning to natural medicine. I've met all kinds of people who once had cancer and are now completely cured of cancer after making the very simple lifestyle changes espoused here on NaturalNews.com. And yet, at the same time, I've never met a person who was cured by cancer with chemotherapy. Not a single one. Never even heard of such a person. They don't exist. Even the cancer industry will tell you their "cure rate" is zero (because they don't believe cancer can ever be cured). So if you have cancer, and you want a zero percent chance of being cured, go with chemotherapy. Your chance of being cured is zero, but your chance of being killed is significantly higher -- as much as 90 percent, depending on your diagnosis. The advantage with choosing chemotherapy, however, is that you don't have to change your eating habits or think outside the box. Your doctor will tell you what to do, what pills to take, what questions to stop asking, etc., and he won't even request that you stop eating those cancer-causing hot dogs and breakfast sausages which have been shown to significantly increase your risk of pancreatic cancer (https://www.naturalnews.com/007024.html) (https://www.naturalnews.com/News_000708_sodiu...). Actually saving your own life, on the other hand, takes real effort. It requires thinking for yourself and casting off the "do what you're told" attitude that gets cancer patients killed. It means questioning the sanity of poisoning your own body with extremely carcinogenic chemicals -- chemicals which, by the way, have the side effect of causing cancer! If you've never received chemotherapy, you may not know this, but before the cancer doctors inject you with their poisons, they usually make you sign a disclaimer that spells out the risks associated with chemotherapy. Among those risks, you'll see mentions of cancer, brain damage, liver failure, kidney failure and all sorts of other horrifying end results that might befall you if you're crazy enough to agree to be poisoned. I've often wondered how any human being could actually read that document and sign it, but now I know the answer: Cancer doctors use FEAR to recruit patients into their profitable but extremely dangerous treatments. They say things like, "Unless you get this chemotherapy, you'll only have six months to live." It's ludicrous, of course, but as a marketing gimmick, it works like gangbusters. Patrick Swayze was told much the same thing, and he believed it. And he paid the ultimate price for that misplaced belief. NaturalNews contributing author Tony Isaacs foresaw all this. 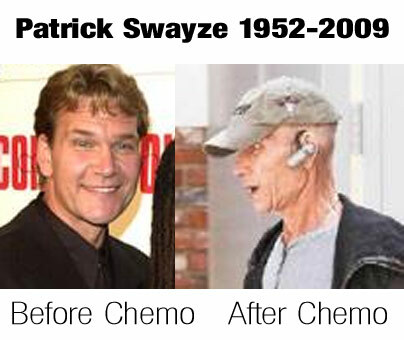 In a January, 2009 article published on NaturalNews.com (https://www.naturalnews.com/025289_cancer_health_medicine.html), Isaacs admonished Patrick Swayze for pursuing toxic chemotherapy instead of natural anti-cancer therapies. He foresaw precisely the outcome the whole world now knows to be true: That chemotherapy often leads to death. As the editor of NaturalNews, I urge everyone reading this to learn from Patrick Swayze's passing. Let his passing mean something positive to you in the realization that you don't have to die from chemotherapy. Even if you have cancer, you have lots of options that Swayze chose to ignore. You can choose Gerson Therapy (www.Gerson.org), for example -- and check out the documentary movie The Beautiful Truth to learn more about that (http://www.thebeautifultruthmovie.com). One of the best Traditional Chinese Medicine clinics in the United States is called "Han Tang," located near Merritt Island, Florida (East of Orlando). The website is http://www.hantang.com - you'll have to look up their phone number on Google. Some trusted health centers to check out for raw food juicing and detox lifestyle changes include the Hippocrates Institute (www.hippocratesinst.org) and the Tree of Life Rejuvenation Center (www.TreeOfLife.nu). Cancer cures already exist. They're everywhere in the world except in mainstream American medicine (where they've been outlawed). Curing cancer is not only easy to do, it's the most natural thing in the world. Your body knows how to do it so amazingly well that if you feed your body the right nutrients, you can't even stop it from curing cancer! But most people in first-world countries are living a "pro-cancer" lifestyle. They are chronically deficient in Vitamin D, the miraculous anti-cancer nutrient (https://www.naturalnews.com/021892.html), they eat cancer-causing processed meats, they consume cancer-causing artificial sweeteners, and they subsist on dead, refined foods that are almost completely devoid of anti-cancer nutrients like selenium, vitamin C and specific phytonutrients. On top of that, a lot of people choose to further destroy their health through the regular use of toxic perfumes and colognes (which often contain cancer-causing chemicals), smoking cigarettes, using carcinogenic hair dyes, spraying pesticides on their lawns and generally engaging in a radical cancer-causing lifestyle. For those people, an eventual diagnosis of cancer should really be no surprise because it's a result they created through a lifetime of poor choices about personal health. I've noticed a pattern in all this: Those who make the worst choices in life also tend to make the worst choices about the way they die. If they lived a toxic lifestyle that gave them cancer in the first place, they almost always choose a toxic chemotherapy death to go with it. A few folks, however, are opening their eyes and living vibrant lives even long after chemotherapy by embracing a truly healthful lifestyle. If you survive chemo, you can go on to live a long, long time by making new choices in foods, exercise and environments. And if you're one day found to be free of cancer, it wasn't the chemo that cured you, it was your own body healing itself! With the right nutrients, sufficient hydration and the dedicated avoidance of cancer-causing chemicals, the human body can heal itself of cancer, accomplishing what no doctor, surgeon or oncologist could ever hope to achieve. Are you living in a cancer box? Sadly, cancer-causing chemicals are in almost everything. The average American household contains probably five hundred (or more) different cancer-causing chemicals found in cleaning products, cosmetics, personal care products, lawn care products, car care products, laundry products, foods, medicines, air fresheners and even in the walls, carpets and paints. For the most part, people live in little cancer boxes they call "homes." And they rarely venture outside their cancer boxes to embrace the real world where cancer cures are as easy to find as picking weeds (because many of them really are extracted from common weeds). So protecting yourself from cancer most definitely involves a change in your day-to-day choices about where you live, how you live and what you consume. There is no doctor in the world who can take cancer out of your body for any significant duration if you continue to live a cancer-causing lifestyle. That's why chemo just flat out doesn't work: Because it doesn't address the causes of cancer. So it can never offer a cure. What would God say about chemotherapy? By the way, I don't usually do this, but I'd like to make a comment here related to those who follow a religious practice. In almost every major world religion, it is considered a sin to desecrate your own body. Many religions consider it sinful to commit suicide, for example. In Judaism, people who mark their bodies with tattoos are considered to be in violation of the Torah ("You shall not make gashes in your flesh for the dead, or incise any marks on yourselves: I am the Lord" - Leviticus 19:28), and those who commit suicide may be denied burial in a Jewish cemetery. Under Islamic law, self-mutilation of any kind is also forbidden, including tattoos (http://en.wikipedia.org/wiki/History_of_tattooing). Under Christian principles, the body is considered a "temple" (a church) which must be honored as a reflection of God (http://www.mybodyhistemple.com). My question to those who follow any major religion -- and who may also be considering chemotherapy -- is simply this: What would God think about you poisoning your God-given body with deadly chemicals? There is no way around it, really: Chemotherapy is a violation of the principles of body holiness found in every major world religion. Intentionally poisoning yourself to a point where your hair falls out, where you vomit and waste away flesh and bone, where you cannot eat, or think, or often even digest your own food cannot possibly be something that is endorsed by any church or any God. It is sacrilegious to harm or destroy your body with chemical intervention based on man-made poison. God would no more wish for you to inject chemotherapy into your veins than heroin or crack. That's why chemotherapy isn't just bad for your immune system and bad for your body; it's also bad for your soul. Whether you believe in the Pearly Gates or some other version of an afterlife, there's no question that showing up on Judgment Day after having died from chemotherapy is not a comfortable episode of spiritual scrutiny. If God, in a booming voice, asks, "I gave you a perfect body, in my own image. What did you choose to do with it?" And if you answer, "Well, I smoked two packs of cigarettes a day, I swore off all the natural medicine that you provided us, and I allowed my body temple to be injected and destroyed with man-made toxic chemicals that killed me and brought me here," chances are you're not going to find yourself in God's favor. He might even hold up your chemotherapy disclaimer contract and say, "Did you actually SIGN this thing?" Then again, most conventional cancer doctors don't believe in God anyway. They believe in chemicals. At least, they believe in them for YOU, but not necessarily for themselves. Most oncologist, it turns out, would never subject themselves to chemotherapy. Why? Because they've seen what it does to people. Even oncologists don't want to die in the same way they see their patients dying. Whether they believe in a God or not, they definitely believe in avoiding suffering, and that means avoiding chemotherapy. At the risk of once again being way too blunt for the general public, I feel compelled to ask people reading this: Did you ever stop to consider the degree of suffering Patrick Swayze must have gone through, dying from pancreatic cancer combined with toxic chemotherapy? I can speak on this subject because I've watched a man die from precisely the same diagnosis and the same treatment. I've been at the bedside, watching the digitized intravenous dripping of morphine into the shell of a man, with sunken jawbones and hollow eyes. The cancer industry won't show you photos of Patrick Swayze's death for the same reason the Pentagon won't show you photos of young U.S. soldiers getting their legs blown off: It's just too much reality for people to deal with. And it changes people, too, because once you see a precious human being die from chemotherapy, you'll never seek it out for yourself. You'll swear it off for the rest of your life, and the cancer industry will lose a likely future customer. The cancer industry loves to talk about those people who are "survivors" of cancer and chemotherapy. But they never talk honestly about those who were killed by their poison. The truth is simply swept away, dumped in a casket and buried along with the victim. It's all business as usual for the U.S. cancer industry. May Patrick Swayze rest in peace, wherever his eternal soul may now exist.